In 1943, as the Federal Government began planning for the postwar era, Director Mendenhall, who had served 2 years beyond then mandatory retirement age by Presidential exemption, was succeeded by William Embry Wrather. Wrather was an economic geologist from the oil industry which was considered especially important at a time when the nation at war. Wrather was a a graduate of the University of Chicago. He was a Survey field assistant in 1907. For most of his life, Wrather had been an eminently successful consulting petroleum geologist, except when he was named Director he was Associate Chief of the Metals and Minerals Division of the Board of Economic Warfare. In the fall of 1943, Wrather was a member of the small mission sent by the Petroleum Administrator for War, Harold Ickes, to appraise the petroleum resources of the Middle East, and Thomas B. Nolan, a geologist in the Metals Section who had played a leading role in the strategic-minerals program, became Acting Director. A year later, in December 1944, Nolan became the Survey's first Assistant Director. Nolan, like Clarence King, the first Director, was a graduate of the Sheffield Scientific School at Yale and also had a strong interest in research to aid the mineral industry. Nolan had joined the Survey in 1924, after receiving his doctorate from Yale, and his abilities had been quickly recognized. While still only an Assistant Geologist, he was made chief of the Gold Hill project in Utah, and his study of the Tonopah mining district in Nevada helped to revitalize the district. In 1933, the International Geological Congress had awarded him its Spendiarov Prize as a particularly promising young geologist. The Assistant Director was expected to be the principal assistant and deputy to the Director in the general administration of the Survey and representative and deputy of the Director on official or technical committees or in conferences with the officers of the Department, other Federal agencies, and cooperating agencies. In corporate terms, Nolan was the Chief Executive Officer of the Survey and Wrather the Chairman of the Board in the effort to ensure full use of Survey resources in winning the war and in the postwar world. World War II was a watershed in the history of the U.S. Geological Survey. Wartime developments in science and technology provided new tools for the solution of prewar problems that had been put aside and new ones created by the exigencies of the war. The contribution of science to the security and prosperity of the Nation was more widely recognized than ever before, and greater demands were made for both traditional and innovative research in solving postwar problems. 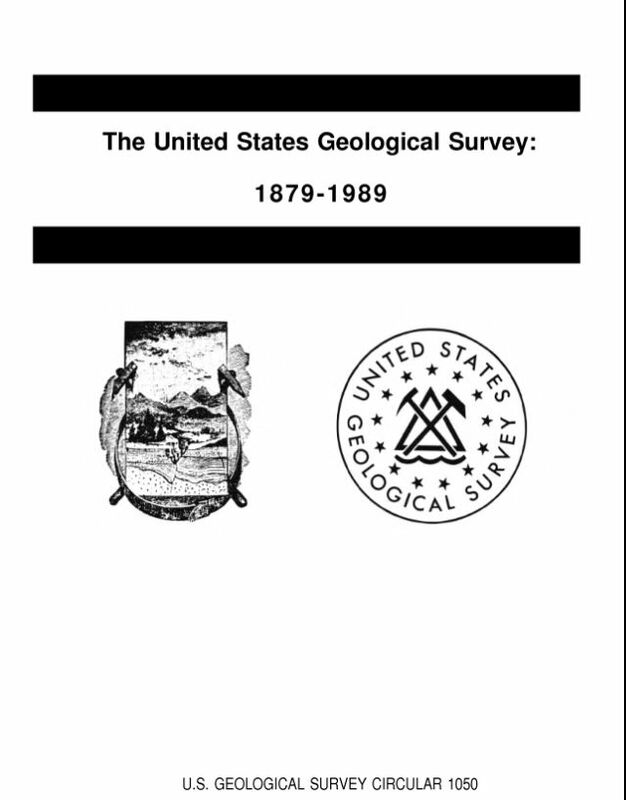 The growth of the Geological Survey, begun under the spur of war needs, continued after 1945, and thus within only a few years, the Survey had become a very different organization than the prewar Survey. Some of the postwar problems faced by the Survey at the end of the war were reminiscent of those after World War I. Half the Nation, including a large part of the public lands, was still without topographic maps, and many of the available maps were inadequate to meet the needs of the postwar world. Geologic mapping of the country was even less complete. Less than 10 percent of the country had been mapped geologically on scales suitable for an appraisal of natural resources and land potential to meet modern needs, and the rate of mapping possible with funds available was only one-sixth of that needed to complete the job by 1980. Base-metal reserves had been greatly depleted during the war, the limit of the Nation's capacity to produce efficiently from known oil fields had been reached, and appraisal of coal reserves and the search for new supplies was considered urgent. The Geological Survey prepared a plan to provide adequate topographic maps for the entire Nation within 20 years, needing only funds to implement it, planned major studies on copper, lead, zinc, iron, and the ferroalloy metals, and the continuation or expansion of regional studies to aid the search for new petroleum supplies. There were new problems as well. The United States was accounted a have-not nation in radioactive raw materials, and wartime technological developments had created needs for many other rare elements, such as beryllium and tungsten. Development of the Missouri River Basin by coordinated projects of the Bureau of Reclamation and the Corps of Engineers, authorized by Congress in December 1944, would begin as soon as the war was over. The Survey would be called on to conduct an extensive topographic-mapping program, an intensive multiyear program of hydrologic data collection and investigations, and geologic investigations to help determine the availability of construction materials, suitability for irrigation, susceptibility to landslides, and water-holding capacity of various sites. Survey scientists and engineers also continued to serve in foreign areas. Under the auspices of the State Department, cooperative projects were continued in several Latin American countries. Several members of the Military Geology Section were assigned to the Natural Resources Section, General Headquarters, Supreme Allied Powers, in Tokyo, where they formed the main part of the Mining and Geology Division. Geologic and hydrologic studies were also made in Korea, and two geologists were assigned to the general engineer district in Manila to make surveys of construction materials to aid in the rebuilding of Manila and to cooperate in a program designed to develop the valuable mineral deposits of the Philippine Islands. Both the Geologic and the Topographic Branches reorganized to cope better with postwar problems. The Geologic Branch was divided in the fall of 1945 into two groups of sections, one of economic geology, the other of basic and engineering sciences. Included were sections for new specialties in foreign geology, engineering geology, military geology, and geophysics. The Topographic Branch established two staff divisions, Plans and Coordination, and Research and Technical Control, on January 2, 1946, to prepare for an immense mapping effort with new mapping techniques. In a major change, on July 1, 1946, the topographic mapping facilities and commitments of the Alaskan Branch were transferred to the Topographic Branch. In October, the Alaskan Branch was dissolved as a major organizational unit and its geologic staff transferred to the Geologic Branch. The Water Resources Branch had an almost complete change of management in 1946 with a new Chief Hydraulic Engineer, new chiefs of the Surface Water, Ground Water, and Quality of Water Divisions, and a great increase in the number and size of State-level district offices. Then on January 1, 1949, as the Survey approached its 70th birthday, its time-honored nomenclature for organizational units was changed to conform to usage in other parts of the Federal Government. The Branches became Divisions, the Sections became Branches, and the former Divisions lost any distinguishing title. Science and the management of natural resources received increased attention in both the domestic and foreign policy of the administration. In September 1945, President Harry Truman, concerned about petroleum resources, claimed Federal authority over the Continental Shelf and provoked a legislative and judicial battle, eventually settled in 1953 when the coastal States were given authority over submerged lands to a maximum distance of 3 geographical miles. In 1946, the Atomic Energy Commission and the Bureau of Land Management were established. In 1947, the President's Scientific Research Board called for an increase in annual expenditures for research and development and an increased emphasis on basic research. In his inaugural address in 1949, President Truman called for U.S. capital and technical assistance to underdeveloped areas of the world. In 1949, also, the Hoover Commission on the Reorganization of the Federal Government proposed a new role for the Department of the Interior in the development of subsoil and water resources, and the Senate and House held joint hearings in search of an improved policy for the conservation, development, and administration of the natural resources. In January 1950, the President appointed a Water Resources Policy Commission to recommend a comprehensive policy for water resources and related land-use development; in May 1950, the National Science Foundation was established and a new office, of the Assistant Secretary for Mineral Resources, was established in the Department of the Interior. The scientific programs were expanded as increased funds became available. At first, Congress was amazed at the amounts the Survey requested in its first postwar budgets, and appropriations were far less than was requested, but transfers of funds from other Federal agencies, notably the Department of Defense, the Atomic Energy Commission, and the Bureau of Reclamation, together with cooperative funds from the States, made the total available about twice the appropriation. After the initial shock, Congress increased appropriations to more than $15 million for the fiscal year beginning July 1, 1949, and more than $19 million for the fiscal year beginning July 1, 1950. By 1950, the Geological Survey began undertaking investigations in new areas to meet the demand for current information. Geologic mapping was needed in fast-growing industrial areas to provide geologic data for the many types of engineering construction. The demand for construction of large dams to impound water for irrigation, power development, flood control, and industrial use focused attention on the need for information on the effect of waterloss by evaporation and the limitation of the useful life of reservoirs by deposition of sediment as well as on stream flow and sediment load. The heavy drain on ground-water resources during the war had resulted in critical conditions in many areas; saltwater encroachment was a subject of special concern in some coastal areas. Efforts to upgrade the Nation's highways required hydrologic data and flood studies to aid highway drainage design. When funds were appropriated for technical assistance programs, Survey scientists and engineers took on assignments in the Eastern Hemisphere, and the Survey extended its in-service training program in geology and the administration of research organizations for promising young scientists of Latin American countries to scientists of the Eastern Hemisphere countries. In late June 1950, the uneasy peace that followed World War II was shattered by the outbreak of hostilities in Korea, and defense again became the underlying theme of national policy. The Geological Survey made an effort to continue the regular program, but of necessity the staffing of defense activities caused delays or interruptions in other programs. About three-fourths of the mineral-deposits investigations were focused on strategic minerals. The military geology program was expanded, as was the search for radioactive raw materials. The new program of urban geology was accelerated to aid in civil defense. In response to a request from the Army's Corps of Engineers, the topographic mapping program was expanded in an effort to complete mapping of about 600,000 square miles of strategic importance in 6 years. A unit newly established to investigate the quantity and quality of water required to produce various manufactured products began with an investigation of the needs of the steel industry. The Geological Survey was also given new responsibilities under the Defense Production Act of 1950, which provided for stockpiling of critical materials, including, for the Defense Minerals Administration, the evaluation of applications for loans and the preparation and enforcement of contracts for the loans. The Petroleum Administration for Defense called on the Survey to make a special geologic investigation of the newly discovered Scurry Reef in Texas to aid in planning its development. At the same time, activities in foreign geology increased in scope and tempo under the Mutual Security Act of 1951. A cease-fire and armistice in Korea had been proposed in June 1951, 6 months after the Commission was appointed and a year before it issued its report, but the truce talks were stalemated for 2 years so there could be no complete return to peacetime conditions. When the armistice was finally concluded in the summer of 1953, a new Republican administration with a different perspective and the avowed purpose of reducing Government spending, balancing the budget, and reducing taxes had taken over in Washington. President Dwight Eisenhower called for a cooperative effort in resource development to "level off peaks and valleys"33 in the economy, but the Appropriations Committee concluded that the Interior Department should be concerned only with functions or activities that private enterprise could not or would not undertake. Progress in the development of a minerals policy was suspended. For its 75th year, beginning July 1, 1954, the Survey had 7,000 employees, appropriated funds of $27,750,000, and total funds, including those from other Federal agencies and the States, of nearly $48.5 million. Its methods of work had changed markedly in the decade since the end of World War II. The Survey had been given responsibility by the Bureau of the Budget for the National Topographic Map Series of the United States and for exercising governmentwide leadership in coordinated planning and execution of mapping activities of the Federal Government. Although only 33 percent of the topographic mapping of the Nation met modern standards, the use of aerial photographs and photogrammetric methods for production of most topographic maps, the continuing development of more accurate instruments and methods, and the use of helicopters to transport topographic engineers to mountaintops and other remote spots to obtain survey control measurements resulted in a significant increase in the amount of mapping accomplished each year. Data on streamflow were being obtained at some 6,400 gaging stations, about 500 ground water investigations were in progress, and the chemical quality of more than 85,000 samples of water was being determined in Survey laboratories. In addition, studies of the water requirements of industry, of flood frequency and low flow, of sedimentation, and of flow in open channels and through constrictions were underway. Geologic mapping and mineral-resources investigations were still being carried on, but geologists were adapting photogrammetric methods to their mapping, making use of physics and chemistry in their studies, and applying modern statistical methods to problems of field geology. Geophysicists were keeping two aircraft busy making airborne magnetic and radioactivity surveys, chemists were devising faster and more accurate analytical methods, and the Survey acquired an electron microscope, a mass spectrometer, and an electronic computer. The Survey had responsibility for supervising more than 100,000 lessee operations on mining or oil-and-gas properties on public, acquired, or Indian lands and, since 1953, of oil-and-gas lease operations on the Outer Continental Shelf. Rent and royalty income from supervised operations was $73.5 million.